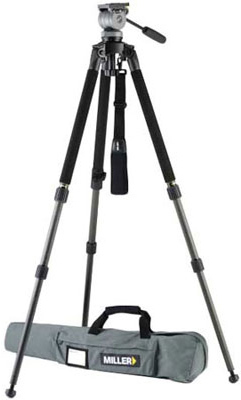 The Miller DS-10 DV Fluid Head Solo Tripod System has a very long adjustment range from 8" all the way up to 63", making it a very versatile system for a variety of shooting angles. It also sports a 5-10 lb counter balance system. It is designed for smaller video cameras and standard DSLR bodies.